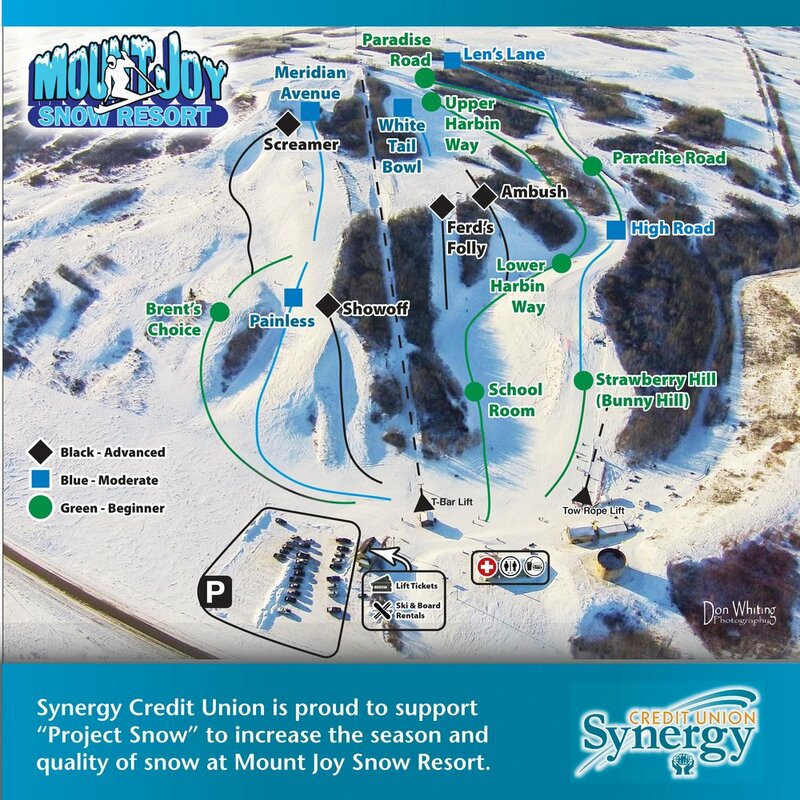 Mount Joy Snow Resort is very excited about the snow dump that started early this morning and has been continuing throughout the day today. The powder conditions are excellent and fresh. However, due to the non-stop snow, there are 'white outs' in some areas, such as when you are driving or skiing or boarding. Please take caution on the road since slippery or white out conditions may occur. Due to the hazardous road conditions, Mount Joy Snow Resort will be delaying our opening today until 12 noon MST. On the roads, there are some slippery and white out spots. We want to ensure our volunteers (who graciously help run the hill) arrive safely. It looks like this storm will pass by around this afternoon. We will post regular updates to let you know when the conditions pass. For those that can make it out for their regular ski or snowboard school, we will have some instructors in attendance. We will be open at 12 noon today to the public. On the bright side, the snow conditions and powder will be amazing!